Those who know me know I love to exercise, and keeping fit is a big part of my life, but one thing I don’t do very much at all is cycling – not even of the spin class variety. In fact, until a couple of weeks ago my bike had been kept in storage for the two years since I got it. So what did I decide to do? Sign up for a cycling retreat five days in advance, obviously. The description on the VeloVedic website suggested a fairly even balance between cycling and yoga, and with going to the gym twice a day, I thought my fitness levels would mean I’d be able to cope with 40 mile bike ride at a leisurely pace no problem over a weekend. When my friend and I received the PDF with full route details by email once we’d paid for our spots on the retreat, I think our hearts both stopped when we read that it was actually to be a 60 mile ride on Saturday, and a 34 mile ride on Sunday. That wasn’t quite how we’d understood the event from their website (I must have been blinded by the words ‘indulging in cafe culture’ and ‘scenic views at a conversation-friendly pace’ and skimmed over the rest!). 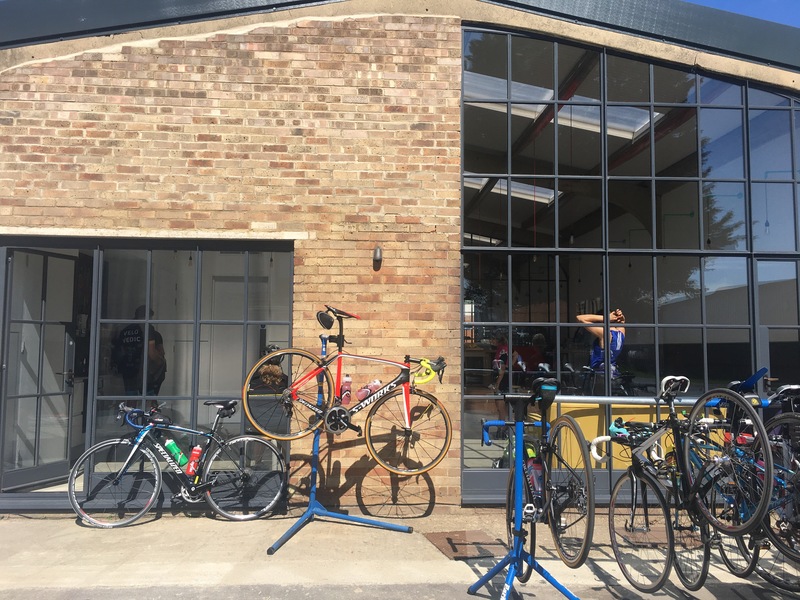 The event was hosted at the Modern Baker HQ in Kidlington, which also meant an extra 20-mile round trip for me just to get there and back again, as I don’t drive. We hastily got in touch with the VeloVedic team and asked whether we could just join them for the Sunday, which we thought we’d just about be able to cope with. We also hastily got in touch with Halfords and ordered ourselves some inner tubes as recommended, and our first pair of cycling shorts. I think Arran and Becci, the team behind VeloVedic, fairly quickly understood that we were not experienced riders when I said that I didn’t know what type of bike I had (‘I’m not too sure, just a normal one?’) and was happy to provide us a refund for the Saturday ride. 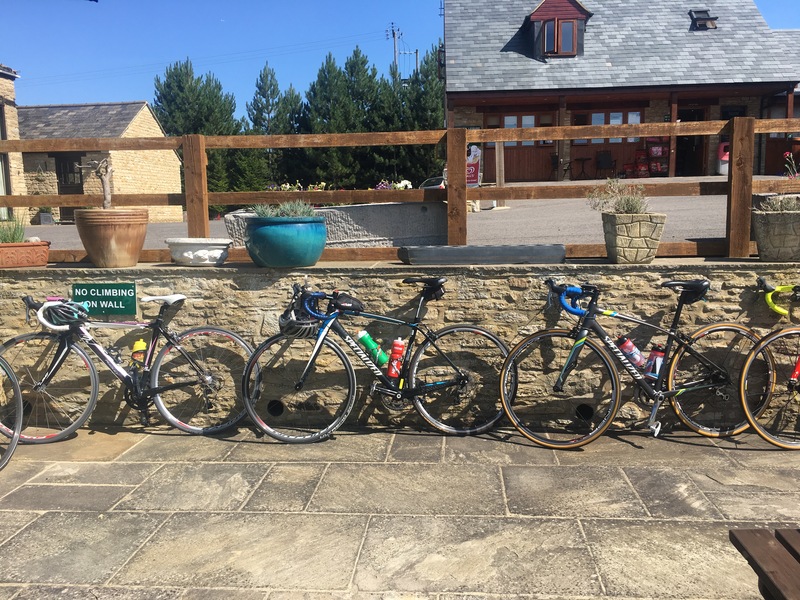 We were somewhat relieved and much more looking forward to the weekend knowing we faced only the shorter ride, and after spending £120 on getting my bike fixed up into a road-worthy condition, I was keen to get out on the road and make it worthwhile. Arran and Becci very kindly invited us to their cool-down hour of yoga on Saturday regardless, followed by a pop-up street food dinner catered for by Isidro’s Street Food. 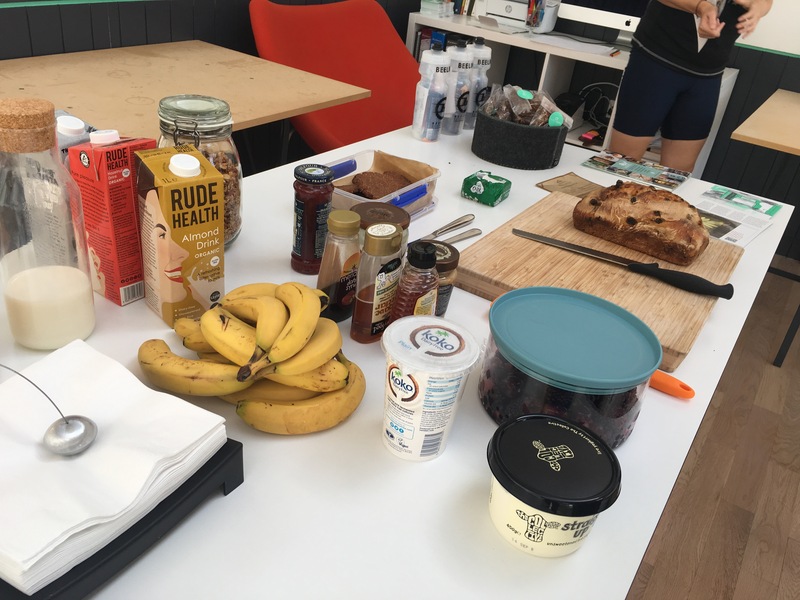 I had enjoyed a couple of Becci’s yoga in the park sessions in South Park over summer, and similarly loved the hour session here, which was geared towards recovery for the cyclists having just completed their mammoth ride, but was a perfect introduction for us to the group and the weekend. The meal afterwards was fantastic, with everything made freshly in front of us out front of the bakery in the sunshine. 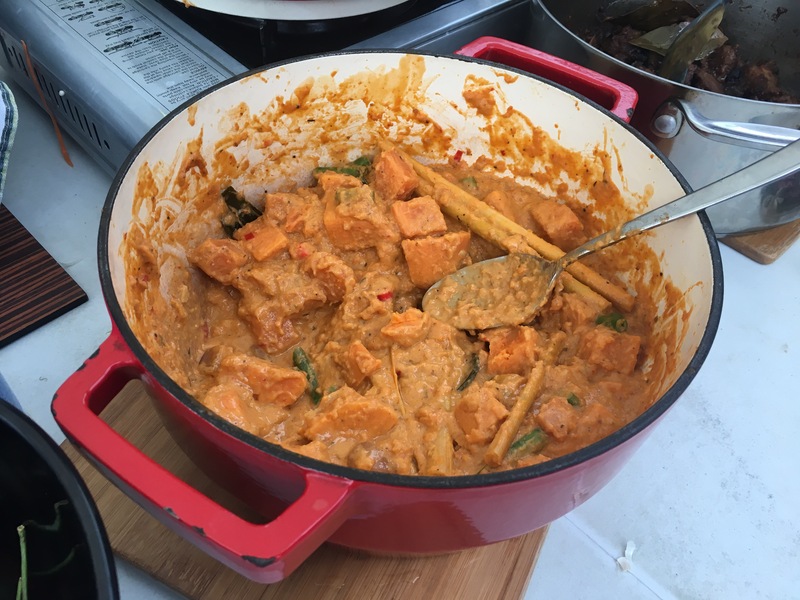 There were vegetable spring rolls with sweet chilli sauce to snack on while Isidro’s cooked a vegan sweet potato curry, which had a bit of heat to it but not too much, and was creamy and aromatic. 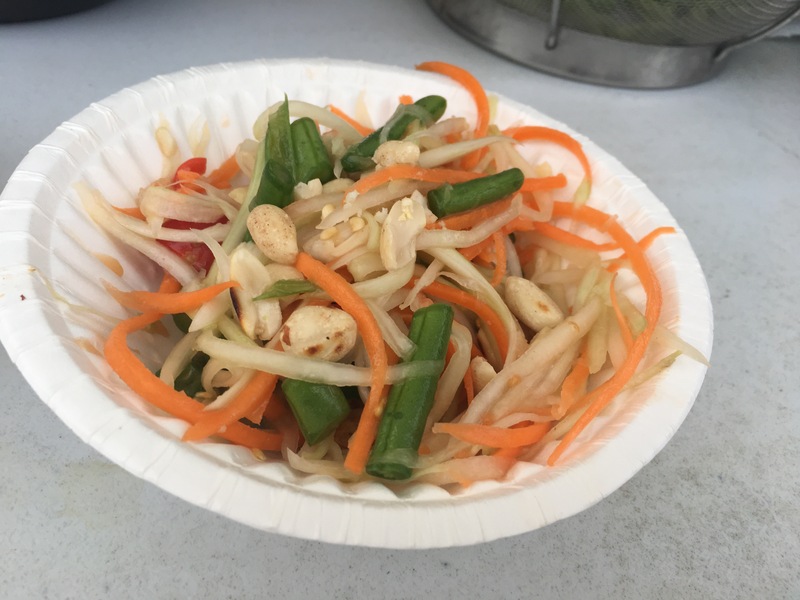 There was also a papaya salad, which was served to the vegans in the group first without fish sauce. I’ve had papaya on its own before and didn’t get on with it but the flavour of this salad with the bits of spicy chilli, crushed peanuts, and the tangy dressing, were delicious. Everything was so tasty I went up for seconds despite being far too full already. The chefs also thoughtfully offered to go inside and wash up their equipment so they could make up an uncontaminated fresh batch of salad minus fish sauce if we wanted any more. 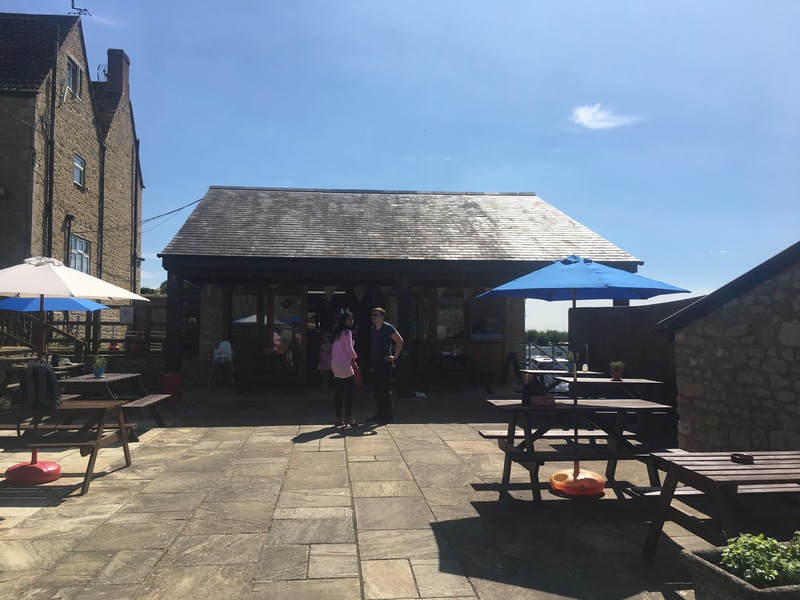 After our yoga we set off on a short ride from Kidlington to Bletchingdon, where we stopped at a cute little cafe on a campsite for some lunch in the sunshine. I was still far too full from breakfast to eat anything (I would’ve had to have gone off-menu anyway as it wasn’t a particularly vegan-friendly cafe), but treated myself to an ice lolly. After that, we set off for the long haul: a 30 mile loop round some of the picturesque Oxfordshire countryside. The weather was perfect, perhaps a degree or two too hot, but I was extremely thankful the skies were clear because I could never have completed it in the rain. 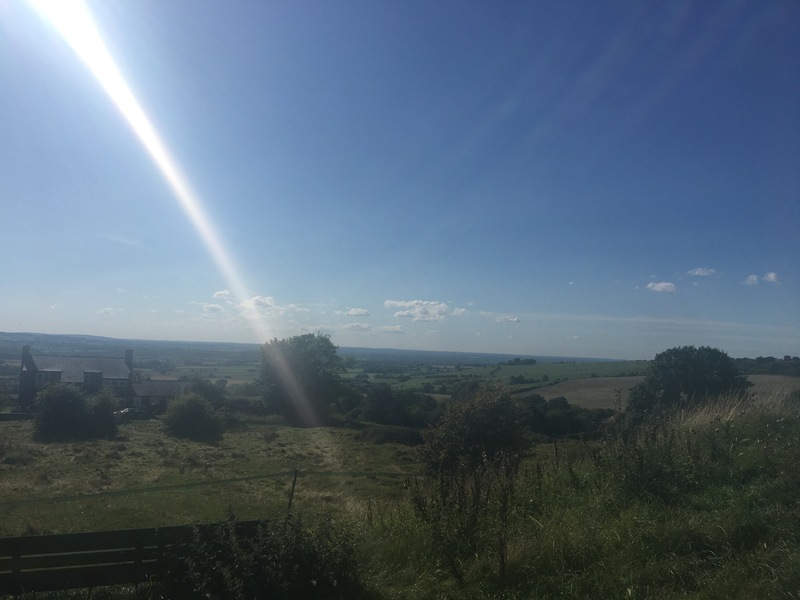 We stopped about half way through our route on top of Brill Hill to refill our water bottles and admire the view, and what a view it was – totally worth the painful climb up there! The ride home was a bit more downhill and we ended up taking a slight short cut from the planned route as we behind schedule, probably due to us without the road bikes having to go at a slower speed, though we weren’t made to feel like that at all! The whole group was so supportive which really added to the challenging but ultimately extremely enjoyable experience. 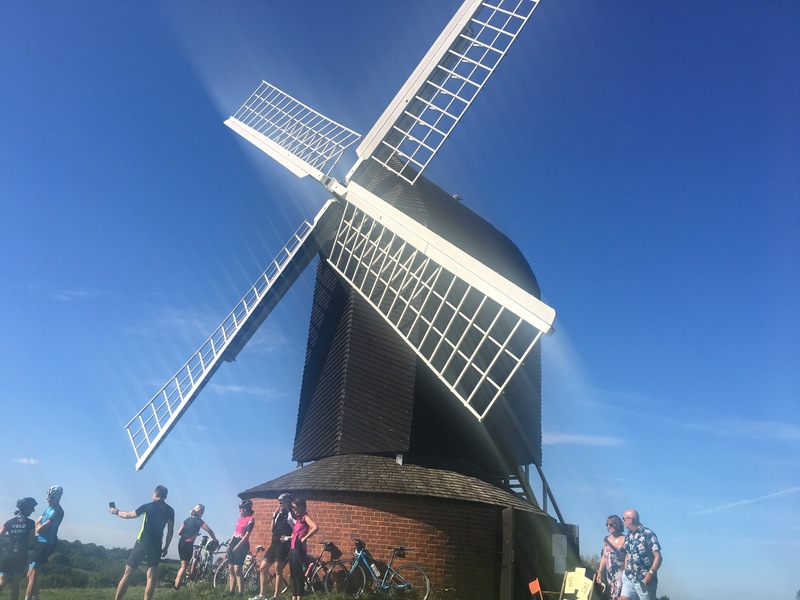 Finally arriving back at Modern Baker in Kidlington shortly before 6pm, with the sun still blazing, I got off my bike feeling exhausted but super proud that I’d managed to complete the ride as such a cycling newbie. 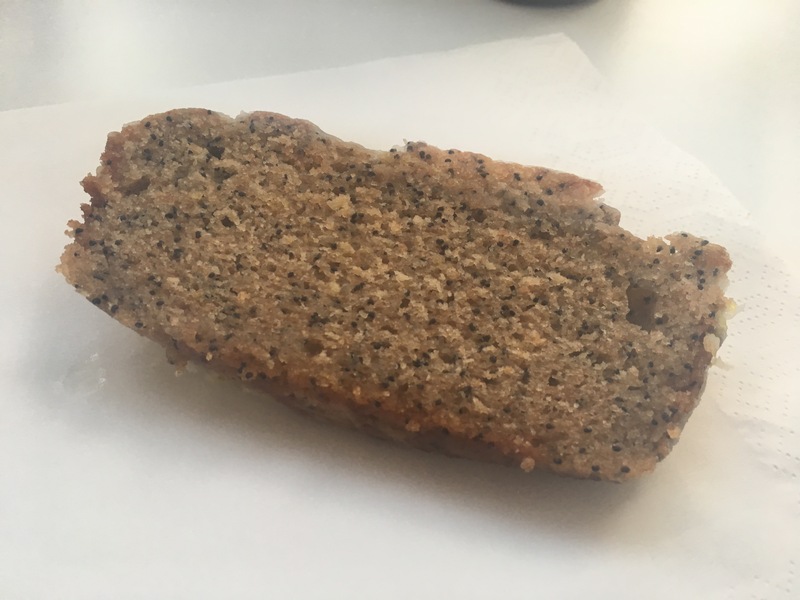 It had been about eight hours since I’d last eaten anything so I felt a bit wobbly, and wolfed down a banana while Becci laid out some leftovers from breakfast, and the very welcome sight of a lemon drizzle and poppy seed loaf cake. 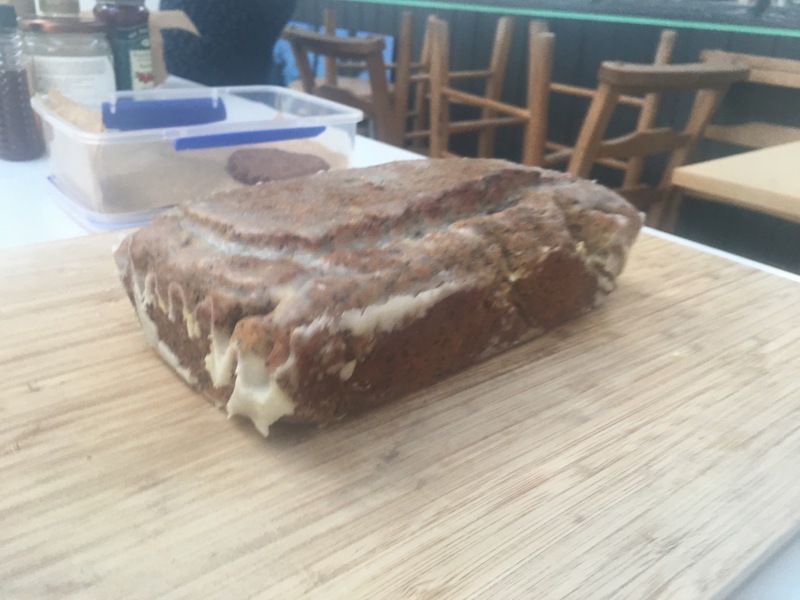 I ate my first slice of cake so fast because of my apparent need for sugar, but went back for seconds so I could savour it a bit more. 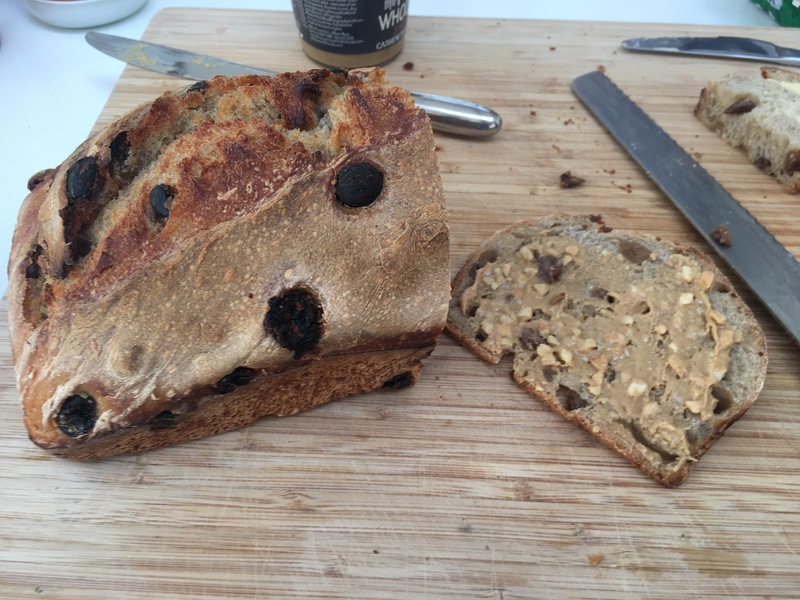 It was such a lovely texture and had the perfect amount of sweetness, just exactly what I needed after a long ride. I believe the recipes Becci used were from the Modern Baker cookbook so I guess I need to get my hands on that! Because we’d got back a bit later than anticipated, we didn’t have the full hour of yoga as planned, but Becci led a shorter 20 minute or so cool-down session to make sure everyone was properly stretched off. After that, everyone said their goodbyes, and Kate and I decided that cycling back to Oxford after such a long day was a bit beyond us, so we ordered a taxi home. I was pretty sore all over but actually in a lot less pain than I was expecting. As is often the case after an intense session of exercise for me, I had an overwhelming feeling of euphoria on my way home. It was just so much fun! So overall, I can’t recommend the VeloVedic retreat enough. I notice now that their website’s tagline on Google reads ‘Cycling and yoga workshops for the road bike enthusiasts’, which makes things a bit clearer for prospective retreat-goers: if you have never even ridden a road bike (like me), this probably ultimately isn’t for you. We certainly would never have been able to manage the Saturday ride. Despite our misunderstanding though, Becci and Arran made sure we had an enjoyable time, weren’t left behind, or made to feel like we were holding the group up at any point. They were so welcoming in inviting us to the meal and yoga on Saturday evening so that we could meet the group, despite not having taken part in the ride that day. 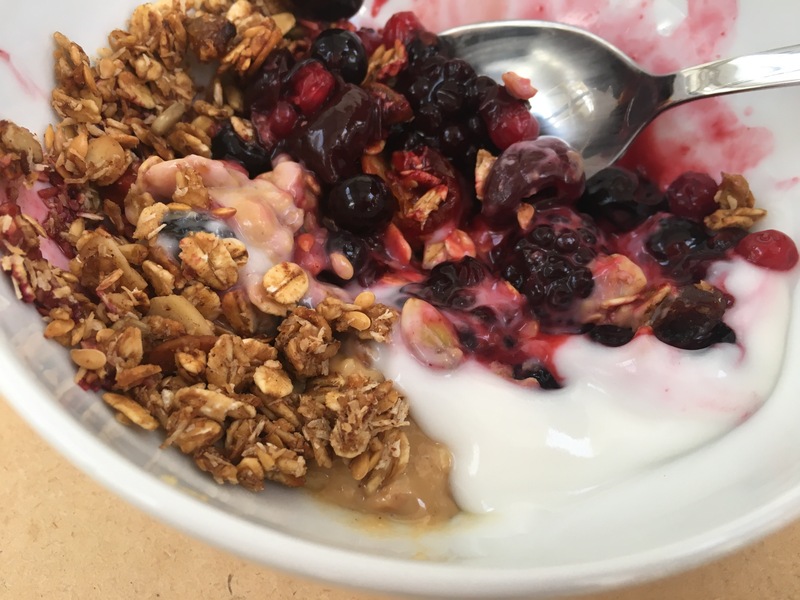 The food was wonderful, the yoga exactly what we needed, and completing the ride felt like a big achievement for me personally when I had only days before ridden the couple of miles to work and feared for my life. The weekend definitely made me want to buy myself a road bike to see what how far I could go on a better piece of kit (though at price tags upwards of £1000, in all honesty it’s probably a bit expensive for me as a hobby). At least now I know what to expect, so if I sign up again next year I’ll certainly be a lot better prepared, and who knows, with a bit of training, maybe I’ll tackle the long ride next time! 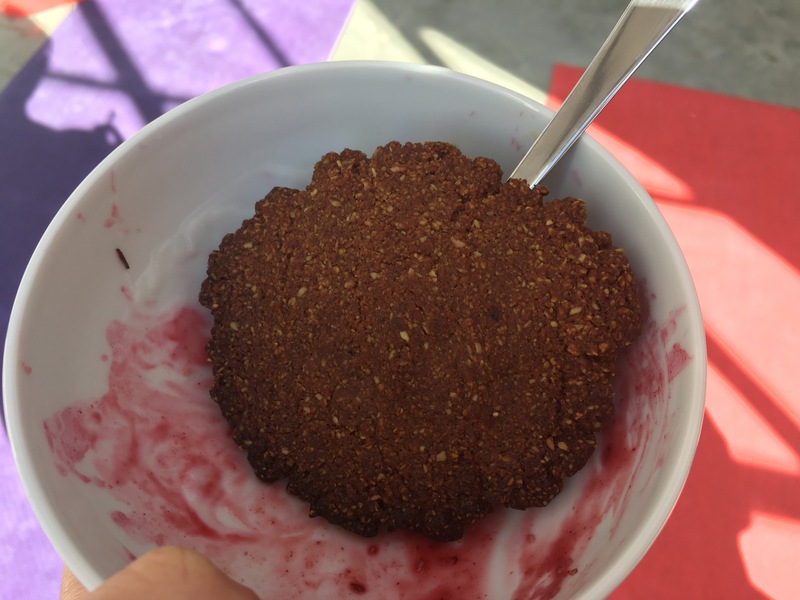 What an amazing food, no wonder you had a little bit too much for breakfast! Really enjoyed reading your experience of VeloVedic retreat. I would love to do something like that but I also don’t have a road bike (mine is hybrid). It was so yummy, I couldn’t resist trying a bit of everything! Glad you enjoyed the post 😊 I think you would manage the 40 mile just fine with a hybrid but the longer ride would probably be pretty tough. There must be other events out there for people without road bikes like us though, I might have a search! Thank you for such a lovely review Heather. It was a pleasure having you there and we are very happy that it left you feeling like you wanted to cycle more 🙂 If you ever get your hands on a road bike, let us know and we can take you around Oxford to show you the ropes! That’s very kind of you, I may take you up on that 😊 I’ll probably be keeping my eye out on eBay for starters in case anything suitable comes up!